Because of its location, your basement is more prone to moisture damage than any other part of your home. In fact, many people think that it’s normal for a basement to be a bit moist, but it isn’t. If you have a moist basement, you may need exterior basement waterproofing, in the form of a drainage system. Look out for these signs. The moisture could lead to foundation damage and could destroy the flooring, walls and other parts of your basement. 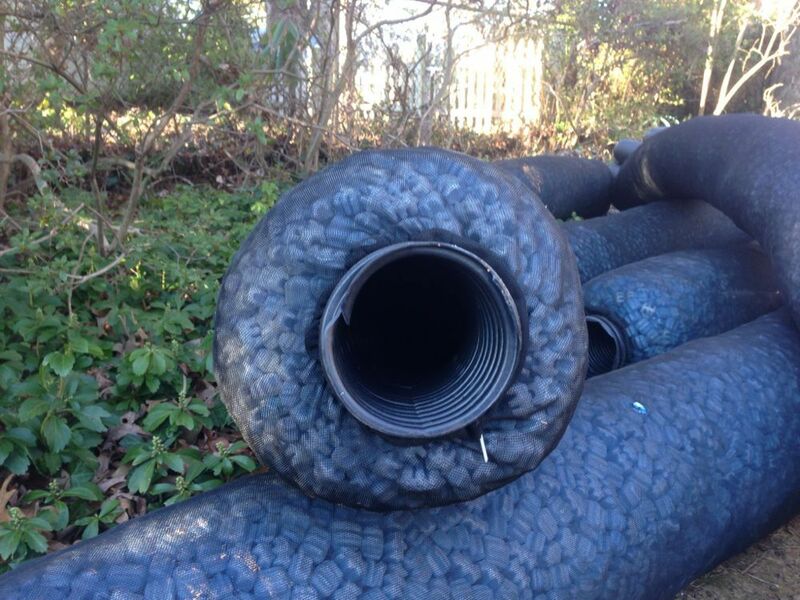 We can help you remediate the risks with surface drainage, underground drainage or by raising your water table. But first, we have to know about it. Contact us today if you see any of these signs that you need exterior basement waterproofing. Have you noticed that your basement smells bad? Over time, moisture in your basement can lead to an unpleasant, musty odor. Simply cleaning your basement or using air fresheners might help with the smell, but it’s best to attack the source of the problem by determining where your basement leak is coming from. Take a look at the walls in your basement. If moisture has been seeping into your basement, water marks will form on the walls over time. There might be water marks that you haven’t yet noticed, especially if your basement is dark. Examine the walls near the baseboards. There shouldn’t be mold or mildew in your basement, since mold and mildew both require moisture in order to grow. Mold and mildew can both cause property damage, and mold can even pose a health hazard for you and your family. Constant moisture can cause your floors or walls to slowly but surely rot. It doesn’t even require a lot of moisture for this to happen; instead, it only requires an ongoing problem that is not repaired. If your walls or floors are soft to the touch, it’s imperative to get rid of the water outside before you make repairs; otherwise, your repair efforts will be futile, and you’ll probably face the same problem later. Sometimes, you might not be able to see the signs of basement moisture right away. However, you might be able to feel it. If you feel sticky and gross when you head into your basement, there is probably a lot of humidity in the air. Although the humidity can be affected by the weather conditions outside, it can also be a sign of basement leaking, especially if it’s an ongoing issue that you notice all year long. As you can see, there are a few signs that you can look out for if you are keeping your eye out for moisture in your basement. If you notice any of these five things or otherwise think that there might be a drainage issue causing a wet basement, contact us right away. We can help you put a stop to your basement problem before the moisture causes serious damage.